Like I said last issue, this comic is hard to review without spoiling things since there’s no much in here that is so amazing and could be considered spoilers but for this review, I will try to stay as spoiler-free as possible and talk about my feelings for it. This is another one of those issues where I’ll say to go get this comic right now and read it. The events of this book is so big that I feel like it will leave a lasting impression on the DCU for years to come, even more so than last issue. The revelations in this story feel like they were planned from the very beginning of Snyder and Capullo’s Batman run. Snyder and Capullo are absolute geniuses for working this story the way they did as it feels like that entire story was set up for this event-- that’s why this story feels so huge. It’s not just another adventure for Batman, it’s him conquering the consequences of his actions to save the world. The Dark Multiverse invading is a catastrophic event and Batman feels as though it will be his fault if it happens and feels it’s his responsibility to fix this alone. He doesn’t want any other life on the line for his problem. I love how Batman takes full responsibility of what’s happening and knows he doesn’t need help. He can do it himself. He’s even willing to sacrifice himself for the entire world. That’s Batman at his core and it shows Snyder really knows Batman through and through. 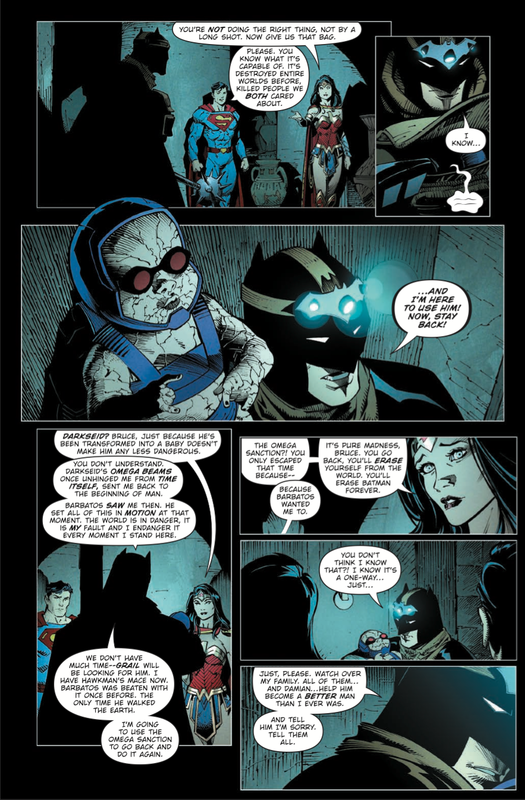 Bruce asking Diana and Clark to take care of his sons was so heartbreaking because Batman could no longer exist after taking Barbatos on alone. The twist toward the end of this issue is so mind blowing. I won’t spoil it here but it’s the twist that feels like this story was planned out from the very beginning and it makes so much sense. Another huge Dark Universe revelation happens at the end of the issue as well. It’s a 2-page spread and just this is well worth the cover price alone, you won’t be disappointed. Capullo’s art is so great and it fits this story so well. He gets to have such a wide range of designs for characters and settings that it feels he’s having fun with it all. 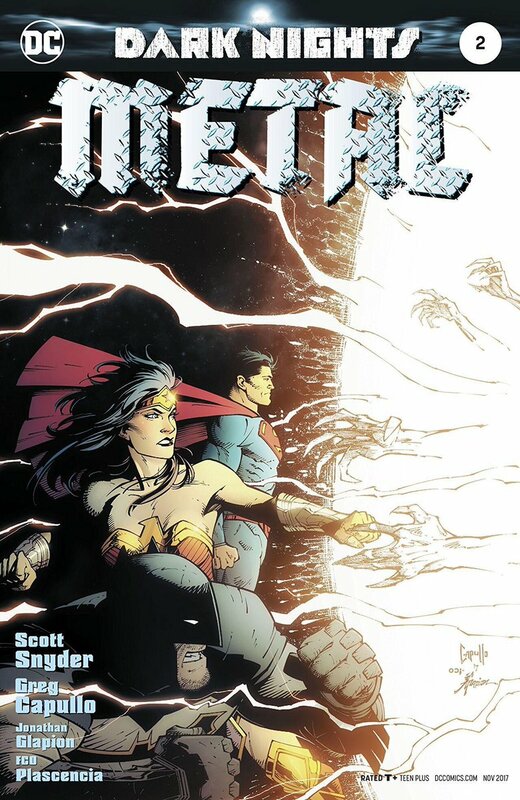 Dark Nights: Metal continues to blow me away in issue 2. 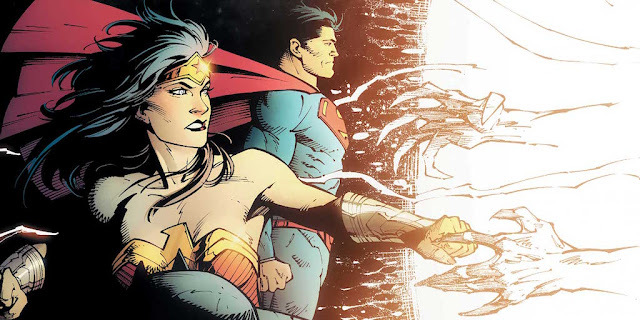 With it’s mind blowing revelations and amazing art it’s a DC Comics staple in the making. Snyder know’s Batman so well and really knows how to have fun with the character. The inclusion of a brand new Dark Universe is history in the making and I can’t wait to keep exploring this story with our DCU heroes.